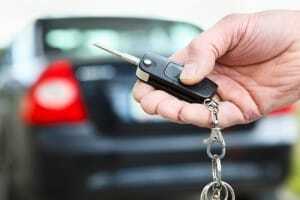 There are many devices today that use electronic keys, the most common being cars. All of our qualified locksmiths have advanced equipment in their service vans that allow them to program electronic keys and to ensure correct locking and unlocking operation. When you lose a set of car keys not only can this be expensive to replace when ordering directly from the car manufacturer, this also poses a serious theft risk for your car. If you lose your car keys or they are stolen, it is very easy for the thief to gain access and steal everything inside, including the car itself! Fortunately we offer electronic car keys to match most modern cars, at significantly lower costs than the car manufactures. Our mobile locksmiths can also reprogram your car to the new car keys we supply you and cancel the previous keys from the cars computer memory. Thus your lost or stolen keys will no longer function with your car. They say that prevention is better than a cure. In the case of losing your car keys this is also true. If you only have one set of car keys make sure you act now to get a copy key made before it is too late. While we can gain access to your car and reprogram new car keys for you, it is easier and cheaper for you if you have at least one working key. If you are worried about a thief finding a lost key then we can simply reprogram your car to your new keys leaving the lost key useless. To make sure you are covered with replacement car keys or to discuss any other programming of electronic keys simply give us a call. Out mobile locksmith services are available throughout Sydney’s Eastern Suburbs and surrounding areas.